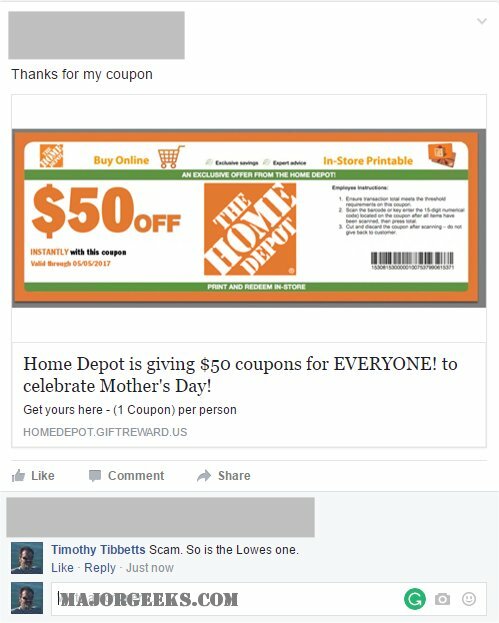 While I’m certain the executives at Home Depot and Lowes love their mammas I am also certain they aren’t giving away $50 and $100 gift cards. Please note these are easy to spot. Much like the Ray-Ban scam, you can see the website is giftreward.us. I’ve seen Ray-Ban scams where the website is something ridiculous like f9d9ok6yc.po. Think about it. If they were doing a giveaway, they would do it on their own, top-tier domain name. This is all you need to know, but some do offer other indicators. I often see the timers. You’ve got 24 hours to claim it! This is a sense of urgency to get you in there and get your information before you have time realize what just happened. These two scams aren’t doing anything that crazy, only saying”1 per household” which is designed to make it feel legitimate. You’ll be taken to a survey page which will ramp up to try and collect your personal information just before you get your fake coupon. The goal here is always to get as much of your information as possible. While you may only get your email address added to some updated spam lists (which are sold on the web to anyone) you also risk having your credit card or your identity stolen. Scams like the Ray-Ban one are looking to get your credit card information. If only one of my Facebook friends sees this, my day will be complete. Please use the share buttons at the top of this article to share with your Facebook friends. 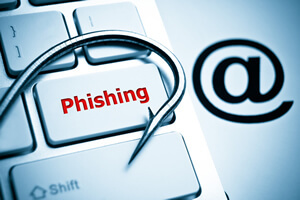 There is a phishing attack that is receiving much attention today in the security community. A large SPAM campaign is underway where victims receive an email that pretends to be a requested invoice and contains a password for a password protected encrypted Word document attachment. These password protected word documents contain embedded VBScript files that will download and install the Ursnif keylogger. When Word documents are password protected, they also become encrypted. Malware distributors are hoping that by sending these encrypted Word documents they will be harder to detect by security software. You can see an example of one of the malicious SPAM emails that was provided to me by Zenexer. Several users have complained that ads served through Microsoft’s Skype app are serving malicious downloads, which if opened, can trigger ransomware. News of the issue came from a Reddit thread on Wednesday, in which the original poster said that Skype’s home screen — the first screen that shows up on consumer versions of the software — was pushing a fake, malicious ad, purporting to be a critical update for the Flash web plug-in. According to the thread, the ad triggered a download of an HTML application, designed to look like a legitimate app. The app, when opened, would download a malicious payload, which locks the user’s computer and encrypts its files for ransom. Many other users in the past few days have also complained of similar issues with Skype’s in-app ads, with at least two other people having the same “fake Flash” ad into Thursday. If you fall for it and download whatever software the crooks give you, they can then secretly track everything you do on that device — just waiting for you to enter any password or payment information that they can steal. On top of that, once you give the scammers remote access to your computer, they can then hold it ransom until you pay them a large sum of money — which may or may not actually get you your device back. These scams have become such a big threat that the FTC now has a page on its site dedicated specifically to informing consumers about tech support scams. And since it can be difficult to determine whether an update or alert is legitimate, the FTC has provided some tips on how to spot this type of scam, how to avoid it and what to do if you think you’ve been a victim. If you are looking for the best Virus Removal in San Antonio Texas and surrounding areas like Live Oak, Converse, Windcrest, Selma and Schertz consider SAPC Upgrades for affordable fair priced Virus Removal. Webroot conducted a survey and found the most infected cities in the U.S. The survey found that the numbers do not reflect density. New York, which is the most densely populated city in the U.S. is not on the list. The research included PC’s, laptops and smart phones. And it also found that these infected devices had an average of 6 to 24 pieces of malware installed. Best of all have image backups on an EXTERNAL drive done on a monthly basis.